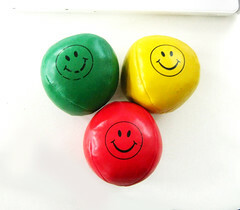 I came across this English educational site, MySasas.com recently. It is one of the best educational sites I’ve ever seen. I find this site really helpful for students who want to improve their English. 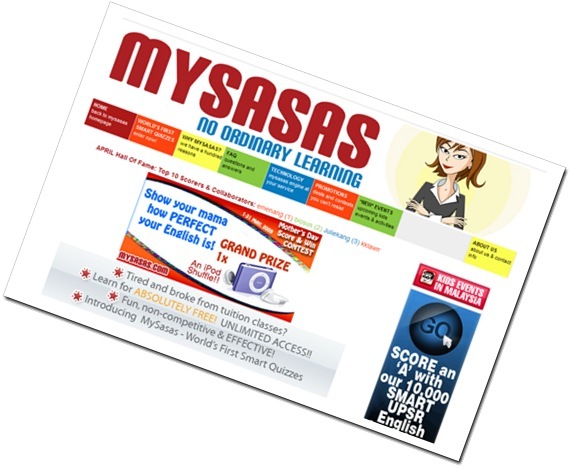 MySasas means Smart and Adaptive Student Assessment System. 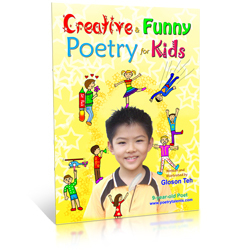 It has over 10,000 no ordinary English objective questions for you to answer. You have to register in order to access the site. Don’t worry, registration is a quick process and you’ll have access to the awesome quizzes. Have you ever wondered if there was a way to control your friend’s computer from overseas? Your friend wants to redesign his blog. But he doesn’t know how to. This is where TeamViewer comes in handy. In case you do not know, TeamViewer also lets you chat with your friend (You could also use an instant messenger). After you have gained access to your friend’s computer, you help your friend redesign his blog. At the same time, teaching him. You can also discuss if you have a suggestion for your friend. It would be like virtually sitting next to each other. If your friend does not know how to use Photoshop to edit a picture, you could use TeamViewer to teach him how. When you are editing the picture, your friend could see what you are doing, and learn. With TeamViewer, you can transfer a file from your computer, to your friend’s. You can transfer it to exactly where you want it to be, too. After you install TeamViewer, you would get an ID number. Each time you open TeamViewer, it automatically generates a password. You can also create your own password. Firstly, ask your friend for his ID and password. Your friend must leave TeamViewer on in order for you to gain access to his computer. Then, select ‘Remote support’ and type your friend’s ID. After connecting, TeamViewer will request your friend’s password. After you’ve entered the password, a window showing the screen of your friend’s computer will open. Then, you can control your friend’s computer. Of course, your friend would have the highest priority. Once your friend controls, you wouldn’t be able to control. To disable you from controlling his computer anymore, your friend would have to click the small window near the taskbar, and then the X button. If you want to ‘show off’ your presentation to your friend, this feature is for you. To use this feature, select ‘Presentation’ before clicking ‘Connect to Partner’. But this is different. Instead of seeing your friend’s screen, your friend would see your screen. Your friend can not control your computer. Instead, a big blue mouse would appear in your screen. When your friend clicks on your screen, the the big blue mouse would move there. In this feature, the quality of the partner’s screen is enhanced, to make the presentation clearer. You can also transfer files from your computer to your friend’s using TeamViewer. To use this feature, click ‘File transfer’ before clicking ‘Connect to Partner’. Your friend would then receive a message, asking him whether to let you transfer files to his computer, or not. He has 10 seconds to approve. When the time runs out, the request would be denied. If your friend accepts the request, you will see the directory of files and folders in you and your friend’s computer. You can transfer your file to wherever you want in your friend’s computer. I use TeamViewer for team collaboration. Sometimes, my friend from overseas need help with his blog. But I am not the administrator of the blog, so I couldn’t help him. Fortunately, he has TeamViewer, too. I then gained access to his computer. He is already logged in to his blog as the administrator. I then helped him with his blog. One day, I wanted to show to my friend a powerpoint presentation. So, we logged in to Teamviewer and he could see the presentation. If you want to download TeamViewer for free, go to its website, Teamviewer.com. If you already use TeamViewer, how and why do you use it?